The Amazing Robot Helper is in our sights again! A while ago the Robot Helper ran away while returning to the Diagnostic Research Center. Just moments ago, the Helper was spotted at the Recycling Center with a broken robot girl. But why? If the Helper were human, we might think that he liked the robot and our hero was going to repair it. But the Helper is not human. His actions are determined by computer algorithms, and there is no room for feelings! Find out if this is true love in this sweet puzzle adventure! 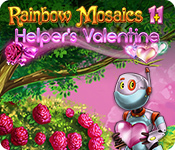 Rainbow Mosaics 11: Helper’s Valentine is rated 4.9 out of 5 by 7. Rated 5 out of 5 by jabrjaw from Super Fun Rainbow Mosaics Game The Rainbow Mosaics Series are my favorite games. They have cute storylines, take a little thinking, and are just plain fun to do. Oh, and they are very bright and colorful also. There isn't anything I don't like about any of these games. In fact I'm really hoping they will come up with an Easter one. I would definitely recommend this game and all the others to all. Rated 5 out of 5 by yilinlai from Rainbow mosaics- my absolute favourite nonogram out there! I love this series and always wish there is more of them! Love the little robot, love the colour, graphic, music and beautiful puzzles after I am done. With a good storyline and numerous objects/ upgrades to purchase and also trophies to collect, I would not stop until I am done with the entire game. Puzzles usually get slightly harder as the level progresses, but that never stop me from trying to get a perfect score :) Looking forward to the next series! 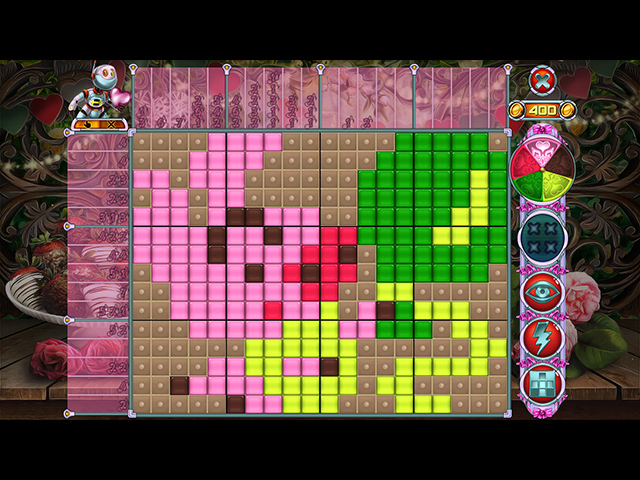 Rated 5 out of 5 by biscuitsmama from A PERFECT VALENTINE FOR HELPER Rainbow Mosaics keeps on getting better with each new game and now our garden helper has found his match – lol. There are so many things that I love about the Rainbow Mosaics series and only one is that this game seems more challenging. It looks like the developers are hearing what we have had to say about wanting more challenge in mosaic type games. As I played through the levels it was apparent right from the beginning that this is a mosaics game that would require a bit more logic to figure out where the tiles should be placed. When it comes to tiles, the developer of this series has provided many sets of tile options and I have fun changing my tile set as I play the different boards. As I fill in the tiles I sometimes know what the completed board will represent but it is nice that we are shown the completed board along with a label so we don’t need to guess what our completed board will look like. I play a lot of mosaic games and when I am bored playing my favorite game or if I have only a few minutes to take a break, I will often go to Rainbow Mosaics. I love the theme of Helper’s Valentine and since this is the month of love, it is a perfect game to play. If you are new to BFG and to the genre of mosaic games, I highly recommend that you try Rainbow Mosaics Helper’s Valentine. As always, please try the demo to see if this is a game you will enjoy. Happy gaming! Rated 5 out of 5 by verimeri from love this series There are very few games I buy before the hours trial. This series is one of them. The mosaics are logic based. I rarely need to use a hint. The characters are cute and funny. 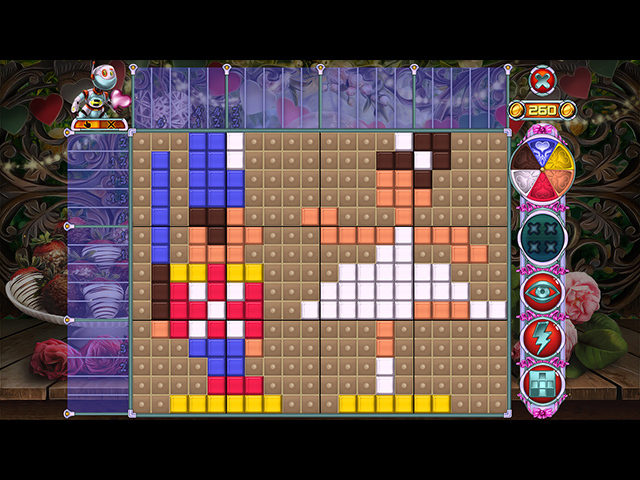 Overall, it is a delightful mosaic game. The other games I buy without trial are Fantasy Mosaics, Laruaville, and Cursed House. Rated 5 out of 5 by MrsBen from RAINBOW MOSAICS: Helper's Valentine - Hot Diggedy Dog!! 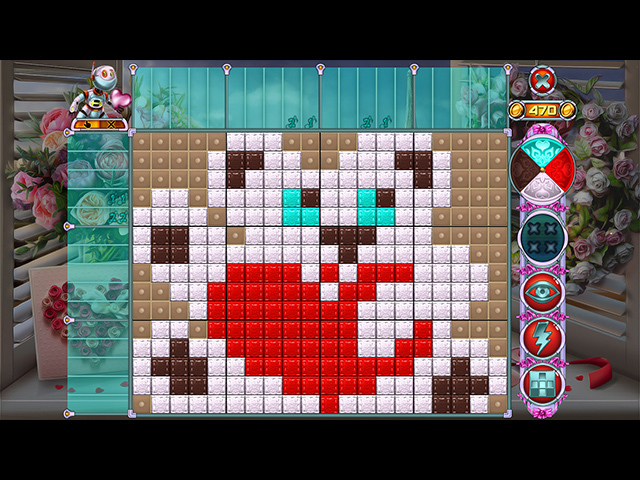 I absolutely love everything about the Rainbow Mosaics games! I love the bright colors, the tile choices, the gameplay, the music and the storyline! AWIGOR STUDIOS has done it again! All you fishies who love this type of game, get your fins to flying and grab up this great game! Very enjoyable!! Thank you AWIGOR STUDIOS!! Rated 5 out of 5 by 2020moonlanding from A Girl Robot is the Perfect Valentine Our lovable robot helper finds true love in the most beautiful girl robot makes for a charming love story in this next installment of the popular Rainbow Mosaics series. This is a lovely griddler game that is based on logic with a nice tutorial for new players. The graphics and colors are charming and the various achievements are easily achievable. As with the previous offerings from this developer, I am finding this game to be relaxing and enjoyable.